Under the aegis of HMD Global, Nokia has been making great strides in the smartphone market. Within just two years, the brand is among the top 5 feature phone brands (unsurprisingly), and was among the fastest-growing smartphone brands in 2018, as per Counterpoint. But the brand aims to venture into the other territories too, and it’s also being strategic about it. 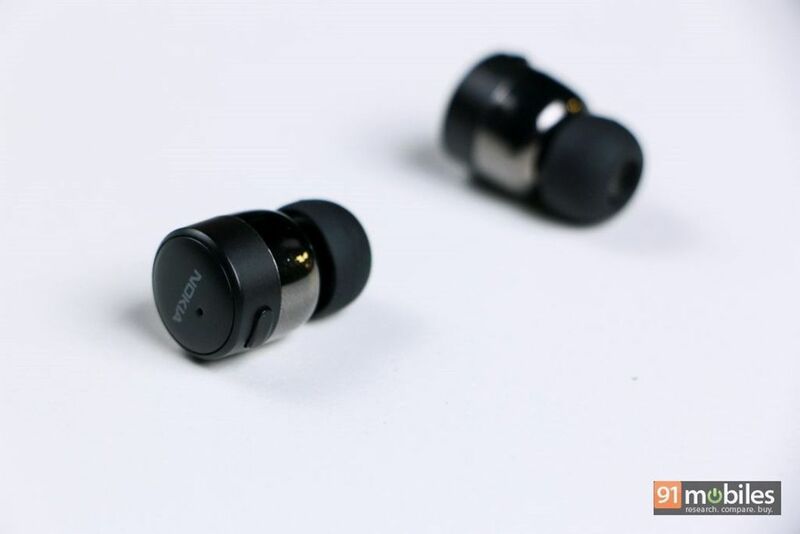 In October last year, at the launch of the Nokia 7.1 in London, the company took the covers off its first pair of truly wireless earphones, simply dubbed the Nokia True Wireless Earbuds. 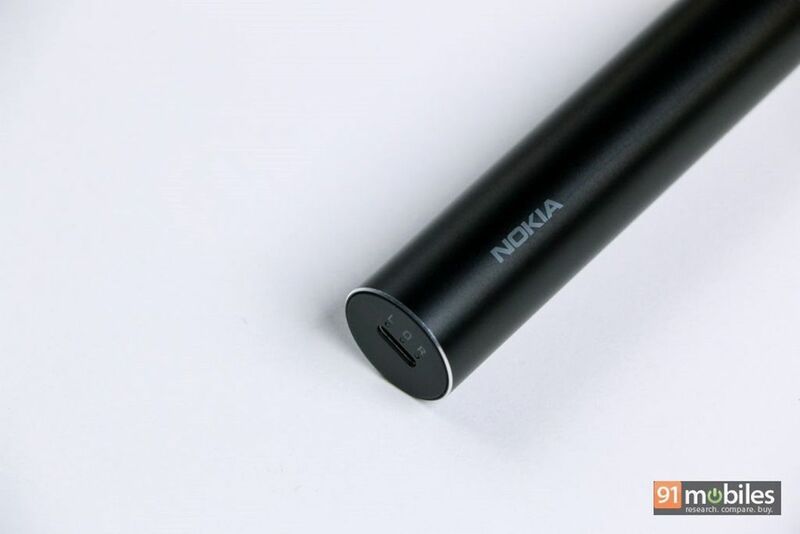 The pair has been silently launched in India for Rs 9,999, and considering the immense competition in this segment which includes the Samsung Galaxy Buds (review), the refreshed Apple AirPods, and others, I was quite excited to check out Nokia’s offering. Now that I’ve used them for a couple of weeks, here’s what I make of them. Ever since Apple launched the Airpods and kickstarted the truly wireless earbuds segment, most rivals that appeared used similar-looking charging cases. Judging by my experience with some of these, not all charging cases fit easily into jeans pockets. 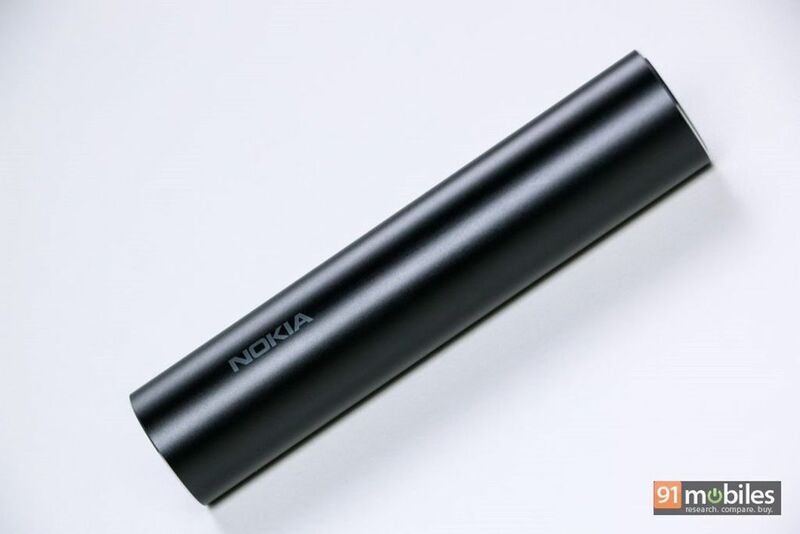 Nokia on the other hand, has thoughtfully designed its charging case. With an elongated cylindrical shape, the case isn’t very wide and can be accommodated in a jeans pocket without creating a large bulge or uneasiness. Available in black, the case has minimal branding too. Apart from its shape, the case works in the usual manner and features a Type-C charging socket. I like the individual charging indicators on the outside, that let you know when the case is being charged, and when the left or right earbuds are juicing up. The case uses a spring-loaded mechanism, and you need to press on one end to reveal the earbuds inside. Taking them out is quite straightforward, though inserting them back in the case requires a bit of practice. You’ll need to slot them properly in the designated spaces as the case won’t close otherwise. Enough about the charging case, what about the earphones? Well, Nokia has kept the Earbuds’ design extremely simple. And yet, you don’t have to worry about the fit of the Nokia Earbuds. You’ll find various ear tips in the retail pack to match the size of your ears. And what’s more interesting is the fact that even without any stick or fin design, the earbuds firmly stay in the ear. Moreover, they’re quite lightweight at just 5g. The pair passed our shake test to ensure they don’t fall off while you’re jogging, though I’d still be wary of wearing them in a gym. Thanks to IPX4 rating, they do come with sweat and splash resistance feature to accompany you during workouts. With respect to their design, Nokia has chosen to forgo touch-sensitive controls, which in my opinion, would have made using the earbuds easier. That said, touch-sensitive controls on truly wireless earphones are usually a hit-and-miss affair, so Nokia has thoughtfully offered buttons on each of the earphones. I’d suggest you orient the earbuds in such a manner so that the buttons are always on top, and remain accessible. The buttons can be long-pressed to turn the buds on or off, or play / pause a song with a simple press. In my usage however, playing or pausing tracks was a hit-and-miss affair depending on whether I was using Spotify to listen to music or streaming podcasts off Google’s Podcasts app. If you’re like me who listens to a lot of EDM tracks, then you’ll love the Nokia True Wireless Earbuds. That’s because, the earphones have been tuned towards bass, and that means you’ll love the oomph in Alan Walker’s latest On My Way, or beats in Drake’s God’s Plan. However, the bass does interfere with other frequencies which is evident while listening to Coke Studio’s Madari wherein you’d be hard-pressed to make out other instruments owing to the earbuds’ coloured sound signature. Unsurprisingly that means that highs aren’t all that impressive, which is noticeable in almost every rock song – the lead guitar lacks a certain sparkle and energy. Vocals are good though, and so is the mid-range in general. The sound staging is decent enough considering the size of the earbuds. But that can’t be said about the imaging, since the percussion of Can’t Stop by Red Hot Chili Peppers, everything sounds garbled and muddy. While there’s no noise cancellation, I found the sound output to be good enough even in crowded places like inside of a metro train. Sadly, the Nokia True Wireless Earbuds only come with the default SBC codec support, and not with the better AptX or LDAC. This means that the pair won’t be able to do justice to songs with high fidelity. Connectivity wise, the Earbuds are perhaps one of the best implementations for wireless earphones I’ve come across, barring Apple Airpods, of course. Pairing them with a smartphone is instantaneous and fairly simple. Once paired, every time you take out the earbuds from their case, they’ll instantly connect with the respective device. Interestingly, you can also pair just the right earbud (this functionality isn’t present with the left one) in case you just want to use it for handling calls. For calling, the mic works pretty well, and the other party was able to listen to my voice clearly. Thanks to Bluetooth 5.0 support, the range is quite good as well. 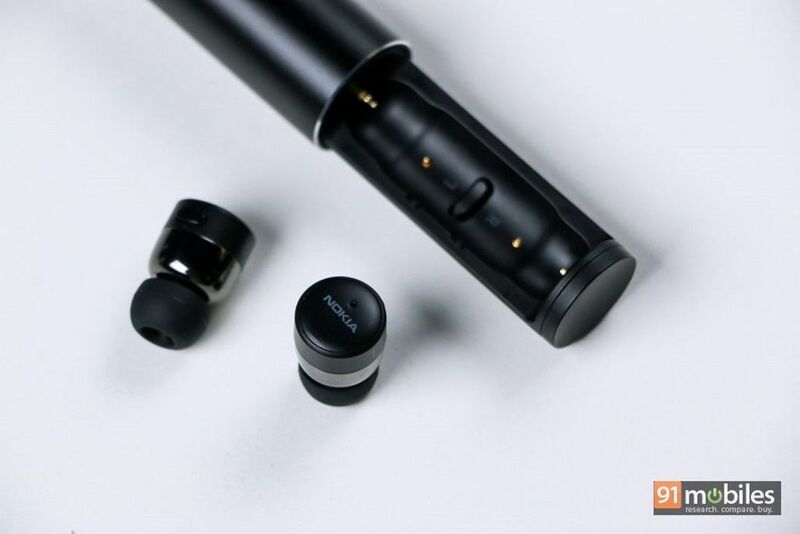 As far as the battery life is concerned, Nokia claims that the earbuds can last up to three hours and a half on a single charge, and my usage showed that the True Wireless Earbuds lives up to the promise. The case can juice up the pair fully almost three and a half times, which means that you can easily use the earbuds for a day and then some more. With intermittent usage, i.e. using the buds while commuting and every now and then in the office, they can easily manage to last up to two days on a single charge. The case itself charges quite fast, thanks to the inclusion of the Type-C standard. There’s little doubt that the category of truly wireless earphones might be still in nascent stages, but it’s become quite competitive quite fast. As mentioned at the beginning of the review, you’ll find options from a variety of companies, with priced ranging from as low as Rs 2,000 to even going beyond the price of Airpods (the latest iteration with wireless charging case will set you back by Rs 18,990). Yet, I think, Nokia has made a solid attempt with its debut True Wireless Earbuds. With a price tag of Rs 9,999, the pair is priced quite well and along with offering good sound quality, it has also nailed the seamless connectivity experience. 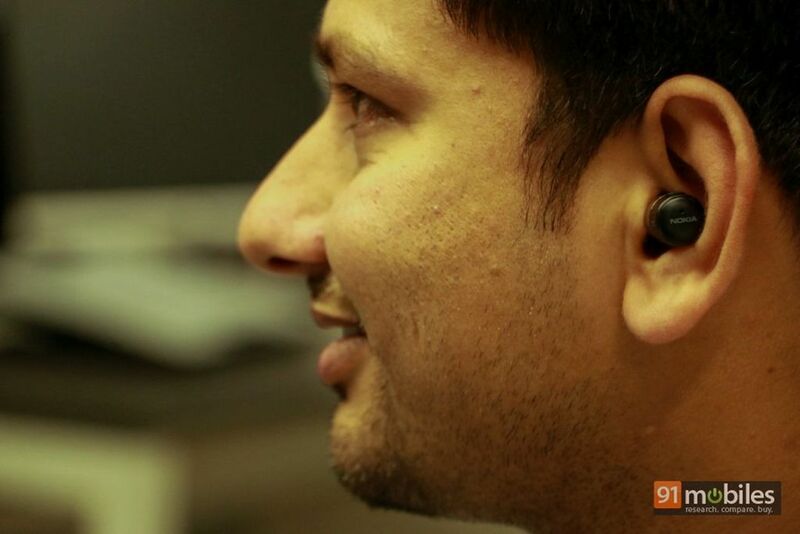 In fact, as part of various deals, the earbuds were available for as low as Rs 7,999. 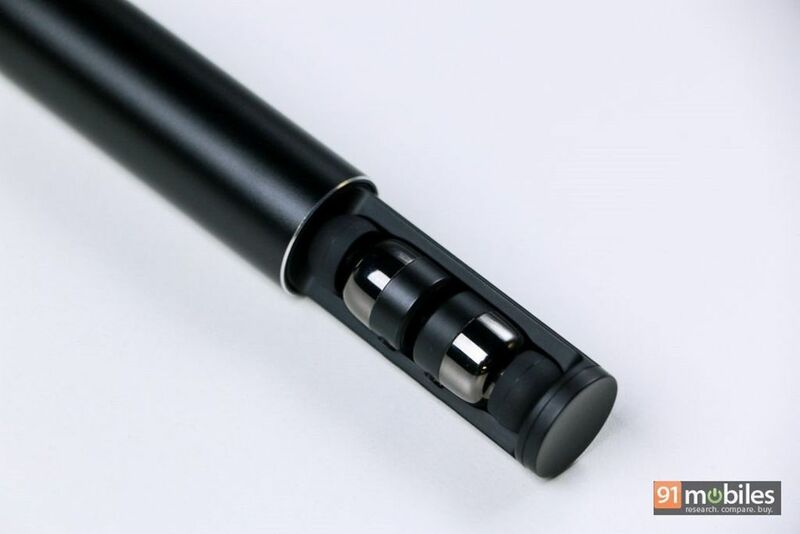 Not to mention that the cylindrical charging case helps it stand out amidst the competition. 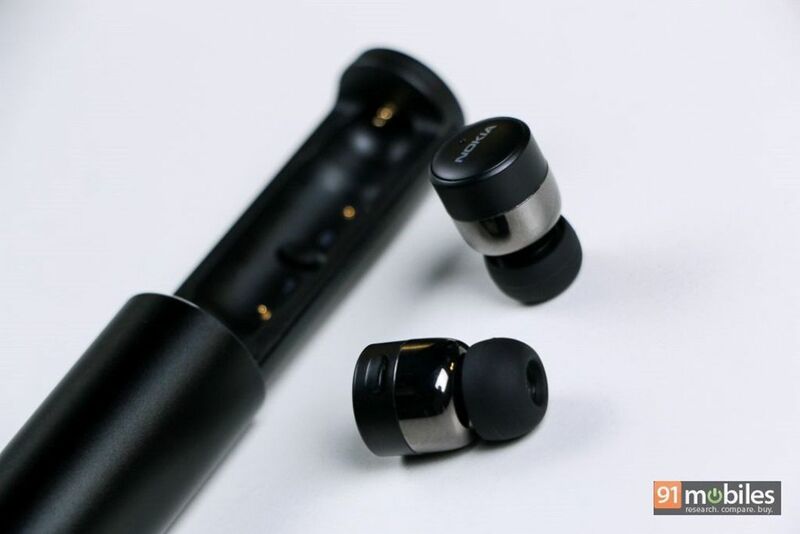 But while we’re talking about rivals, it’s worth mentioning that you can get some really worthy options such as Anker SoundCore Liberty Air (review) and Samsung Galaxy Buds (review), which offer much better sound quality. That said, if your playlist mostly comprises EDM tracks, Nokia’s True Earbuds might fit your bill.